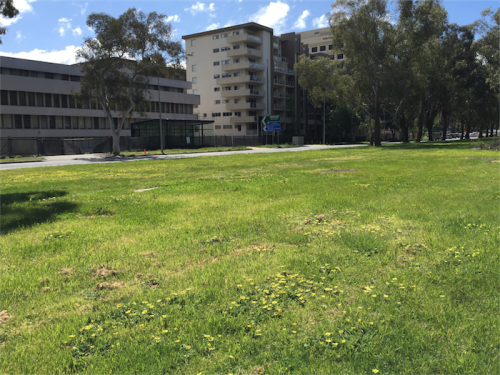 Tomorrow calling… A section of Northbourne Avenue now bare and treeless. CANBERRANS traversing the soon-to-be-high-rise corridor we used to know as Northbourne Avenue now have their first glimpse of the Labor government’s promised “urban meadow” as the surreptitious logging of the median-strip tramway carries on regardless of our pre-election sensibilities. Another 40 are for the lopper, this time the explanation is as a result of the recent wet weather and windy conditions with those loveable tree-huggers Canberra Metro targetting 17 in the median between Antill Street and Macarthur Avenue to be felled as soon as possible. Reader Suzanne Mitchell, of Lyneham, wrote in gentle sorrow to us the other day. “I hope that motorists are sparing a few seconds as they pace up and down Northbourne Avenue to appreciate the beauty of the eucalypts (that will disappear if light rail comes),” she says. “In full bloom at the moment [are] the parchment-coloured blossoms weighing down the branches like snow. They are magnificent this year. Are they trying to reproduce now their future is uncertain? “I want to grumble about what has already happened in the first block from Mouat to Murdoch Streets; one lonely eucalypt survives. All the others went under the cover of darkness. Interest piqued, CC drove the avenue and she’s right. There on the Braddon-Turner border is a wide section completely denuded of trees, save for the sawdust and mulch covering the spots where the eucalypts used to be. MEANWHILE Kingston Foreshore resident Trish Burritt spent time and $108 dealing with maintenance issues caused by Kurrajong Labor candidate Josh Ceramidas’ 20-page, thick booklet “telling us his life story” stuffed in her “No Junk Mail” letterbox. “Apart from the impact on the environment of the use of expensive, good-quality paper for this purpose, his need to tell me his life story by stuffing literature in the box jammed the mechanism and caused even the locksmith difficulty opening the postbox to repair the lock! 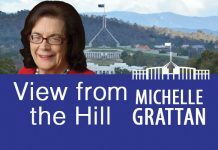 “When I tried to tell ‘my story’ about the subsequent $108 bill, with an email to Ceramidas and a call to the ACT Labor Party headquarters, nobody responded to my frustration with even an apology! 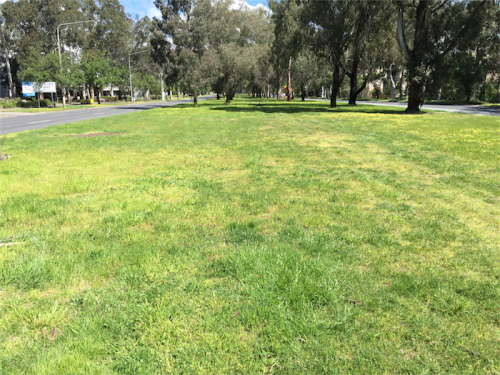 RATEPAYER Denise Page wrote to Greens MLA Shane Rattenbury in response to a letterbox drop he made around Yarralumla inviting residents to let him “know their thoughts”. So she did, fuming about the “deplorable” state of her local shops – overflowing garbage, poor footpaths, broken seating – before questioning the value of the tram and the morality of signing a contract so close to the election. Shane clearly wasn’t so keen to know her thoughts. She emailed him on Saturday, April 2, and still no reply. IT’S dog-eat-dog out there on the hustings as candidates battle daily with the Great Corflute Caper. 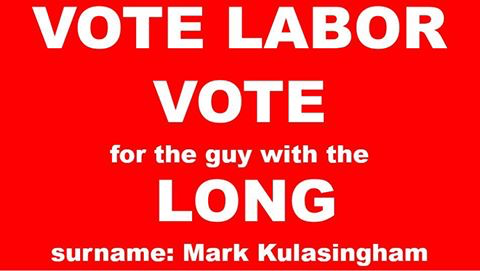 UNFLAPPABLE, affable independent Labor aspirant for Murrumbidgee, Mark Kulasingham, told a constituent on Facebook that he’d had more than 120 of his signs go missing in the last two weeks, confessing: “I’m not sure of their real effectiveness, anyhow”. Given he only started with a couple of hundred, his theory will be tested soon enough. “Kula” is also using humour to get elected. 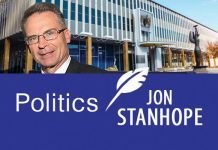 His latest cheeky tickle on Facebook is at the expense of his fellow candidate Brendan Long. He has adapted Brendan’s “Vote Labor, Vote Long” sign to say vote for the guy with the long surname. LIBERAL candidate and sitting MLA Steve Doszpot, who has also been enduring lost, defaced and damaged ground-level signage, lifted his campaign to a new height with a sign that says “Vote 1 DOSZPOT for TOPSPOT” which is out of reach (and largely out of sight) above his local shops at Yarralumla. 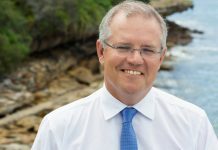 And we thought he was standing for Kurrajong! Anyone prepared to rent their negatively geared properties for less-than-market-value should form a neat queue behind Greens leader Shane Rattenbury. Please note: Material deemed to be political, educational, religious and charitable is exempt from “No Junk Mail” signed letterboxes according to standards developed by the Australian Catalogue Association.